This humor meme was randomly generated via Photoshop-evolution in response to this. It takes a particularly potent form of self-delusion to avoid worrying if one thinks his life is pointless. The instinctive, psyiological apprehension of the prospect of death would be almost unbearable for one who was not self-deluded and held this godless point of view, given the uncertaintly about death's timing. The only other possibility would be to live in a state of numbness so profound as to preclude the possibility of enjoyment, anyway. It really does capture the spirit of what a Godless-tending society thinks subconsciously. It is also the dangerous spirit that leads to abortion and other forms of genocide and cultural meltdown without any afterthought. At this point, the only common sense cry is "Jesus take the wheel!" I enjoy seeing the general perpective here, yet on the other hand I think you might enjoy the chance to truly understand the other perspective. I've always held dear the idea that to be a true believer in anything, you must understand the inverse, and still hold your values. While you are spot on with the fact an atheist believes that existence is meaningless, you're missing out on the atheist's feelings towards this thought. 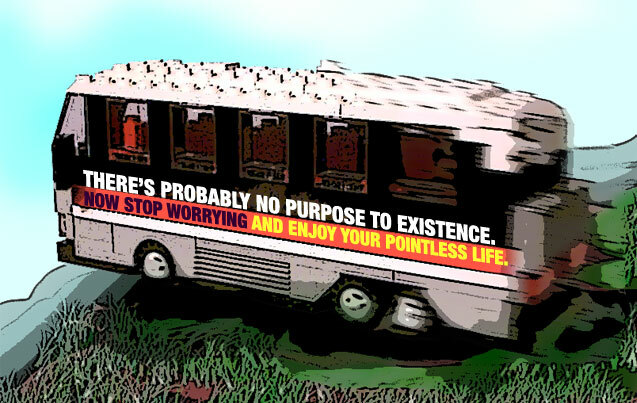 An atheist believes that Life doesn't need a point. To an atheist, its really more of the point of view "where would I get the idea that life should have a meaning?" Generally speaking, an agnostic would most likely feel that life could have a purpose, but its essentially impossible you'll know(at least in this stage of life) what that purpose may be. Thus meaning that its very easy to live a positively wonderful, carefree existence. 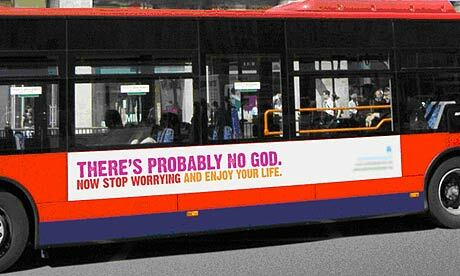 To an atheist, Atheism is not declining to believe in a god, it's wondering where other people got this idea of God.